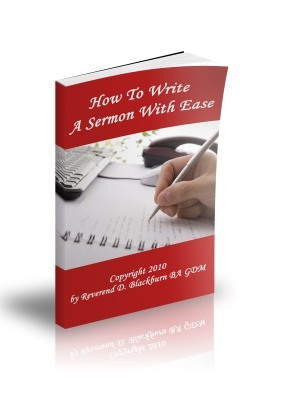 How To Prepare A Sermon Outline is a brief overview of how to prpare sermon outlines for your preaching sermons. Master the process of sermon outlining and you will save time preparing sermons! Regardless of how you prepare a sermon outline, there is one over-riding truth that will save you time preparing sermons. That is, a sermon has three parts - an introduction, a body and the conclusion. The body of your sermon is your sermon outline. Once you have completed your sermon outline and added content to your sermon outline, you then write the introduction and conclusion. When you preach two or three sermons a week, you will soon learn to structure your sermon outlines. Otherwise, you will never survive the ministry. You must develop a paradigm for preparing sermons and sermon outlines. Most preachers structure their sermons deductively. 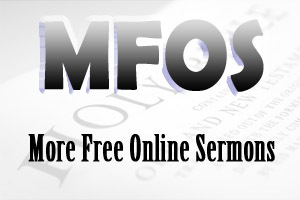 However, more and more ministers are learning the inductive method to sermon outlining. And others tend to have a bit of both. What is your paradigm for structuring your sermon outlines? A sermon outline begins with the main preaching point or the topic of your sermon. Once you have your main preaching point, you then add sub-points and incidental points. The sub-points expand and explain the main preaching point and the incidental points expand and explain the sub-points. I will give you an example below of how you put this altogether. You are going to preach Romans 13:8-10. After studying the passage for some time, you decide that the main preaching point is Servicing The Debt of Love. Now that you have your main preaching point, you will need to find out what the passage is saying about the main preaching point. You discover that the passage is saying that the debt of love is continuous, practical and noble. Your sermon outline may begin to look like this. Now you need to find a HINGE word to swing the sub-points from the main preaching point. The HINGE word must be a plural noun. When the sub-points expand and explain the main preaching point, they usually answers the what, when, where, why or how question of the main preaching point. You will find that the sub-points answer the why question. That is, the reason why we should service the debt of love is because it is continuous, practical and noble. Therefore, your HINGE word would be Reasons. Now you have sequence and flow to your sermon outline. What you need to do next is add any incidental points. The incidental points need a hinge word also. This will help with sequence and flow to your sermon. Once you have prepared the sermon outline, you need to add content and illustrations. Once you have written content to the sermon outline, you will need to write an introduction and a conclusion.